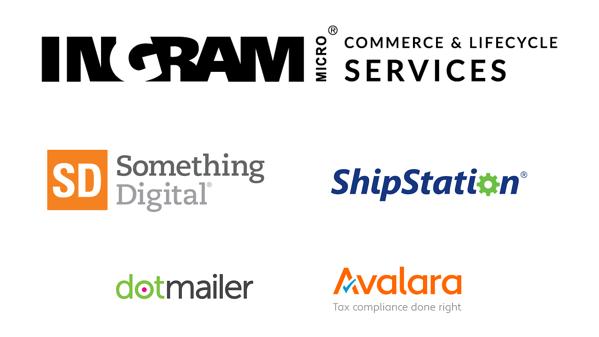 Ingram Micro Mobility, Ingram Micro Logistics and Ingram Micro ITAD have come together to form Commerce & Lifecycle Services. The merge of these lines of business represents significant investment and strategic acquisitions (Brightpoint, Anovo, CloudBlue, Shipwire and DocData). The result is a combined portfolio of services that addresses the full commerce lifecycle of any product, enabling customers to thrive in the ever-evolving Business of Commerce. Their services include marketplace connectivity, order management, fulfillment, transportation management, reverse logistics, repair, recycling and resale. Combined with an open technology platform and global infrastructure, they help their customers to deliver on their brand promises every order, every day, everywhere, every way. To learn more, check out their website. For 10 years, Something Digital’s reputation for expert execution, responsive customer service, and long-lasting client relationships has made them a firm of choice for both large and small organizations. Whether you’re an independent retailer or the world’s largest rapid transit system, they can deliver innovative, scalable solutions that not only work, but work for you. With offerings including digital marketing, accessibility, strategy & hosting, UX and design and ecommerce& websites, they enable their clients for long term success. Visit their website to learn more. ShipStation leads the e-commerce world with their web-based software designed to make e-commerce retailers exceptionally efficient at processing, fulfilling, and shipping their orders from all the most popular marketplaces and shopping carts using all the top carriers. Co-founded by Jason Hodges and Byron Wier in 2011, the Austin, TX-based company has multiplied its size but their mission remains the same. They focus on the user, and aim to continue to build out the best shipping software around. Learn more about ShipStation here. Avalara works within your own financial, billing, ecommerce, or point of sale system to deliver tax calculations in real time via a secure Internet connection. Once configured, you don’t have to worry about ever-changing, impenetrable rates, rules, boundaries, exemptions, tax holidays, reporting requirements, filing deadlines, etc. etc. etc. Their cloud-based software platform manages the complexity and simplifies the process of sales tax and other transaction tax compliance, cost effectively and with ecommerce-class scale, speed, and reliability. Simply put: they make tax compliance less taxing. To learn more, visit their website. Starting in 1999, dotmailer is a leading marketing automation platform with email at its core. Their mission is to empower marketers with the tools that make it easy to get dramatic results, every time. dotmailer has demonstrated impressive growth, with the platform used in over 150 countries by more than 70k customers. Their awesome team is made up of over 200 employees in three continents. Want to learn even more? Visit their website. To learn more about Connected Commerce, visit http://connectedcommerce.io/.